Audi could race a hydrogen-powered Le Mans car in the future, Autocar has learned – although the project is dependent on the technology edging closer to reality for production cars than is currently the case. The confirmation that a hydrogen-powered Le Mans racer “could be possible” by Audi’s head of technical development, Stefan Knirsch, is the first hint of the project, and could pitch the firm against BMW at the famous Le Mans 24 Hour race, as both firms vie to establish credentials for leadership in hydrogen technology. 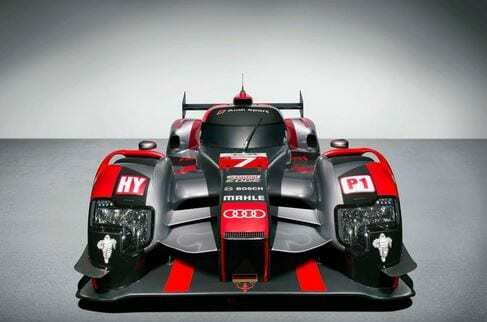 Audi’s continued participation in sports car racing and at Le Mans has been in question for several years, with the logic of racing against VW Group stablemate Porsche – which has won Le Mans for the past two years, as well as the World Endurance Championship in 2015 – uncertain. If it were to race a hydrogen-powered car at Le Mans it would likely do so in the Garage 56 category for experimental cars. Recent examples of entries include the petrol Nissan Deltawing concept which was granted entry to the race in 2012, and Nissan’s hybrid ZEOD RC in 2014. This year the Green GT H2 became the first car to ever complete laps of the Le Mans race circuit running on hydrogen. Being the first car company to race a hydrogen-powered car at Le Mans would deliver a significant PR coup. While BMW has previously been rumoured to be looking at the possibility, its rivals, including Audi, are said to be keenly aware they allowed the Munich-based marque to steal a march in awareness of its electric car strategy by launching the electric i brand so early. Racing at Le Mans would be a relatively low cost way of gaining the initiative in hydrogen technology in car buyers’ minds. Audi is the VW Group’s lead brand for hydrogen fuel cell development, and has been working on the technology since 2003 when it produced a hydrogen-powered Audi A2 prototype. More recently, it revealed the Audi H-tron Quattro SUV concept at this year’s Detroit motor show. “We are now developing hydrogen fuel cell technology to a serious production level – but the market must decide when we launch it,” said Knirsch. “We are ready, but the infrastructure is still not there, and the relationship between pure electric and hydrogen cars is not clear. There are currently only two hydrogen-fuelled cars available in the UK – the Hyundai ix35 Fuel Cell and the Toyota Mirai – both in very limited numbers and with price tags that reflect the high cost of developing hydrogen fuel cell technology. The refuelling infrastructure still needs development with 10 sites nationwide currently, with that figure expected to rise to only 65 by 2020.